Total height: 81 mtrs. / 266 ft. Lift height: 72 mtrs. / 236 ft. 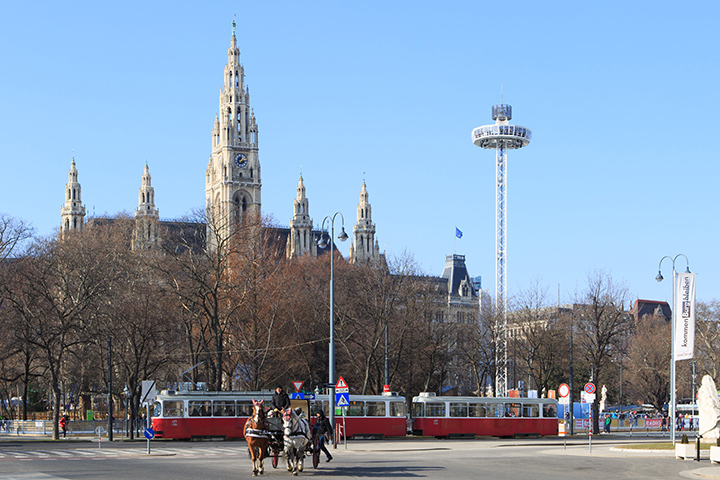 The City Skyliner is the highest and most sizzling mobile observation tower of the world. 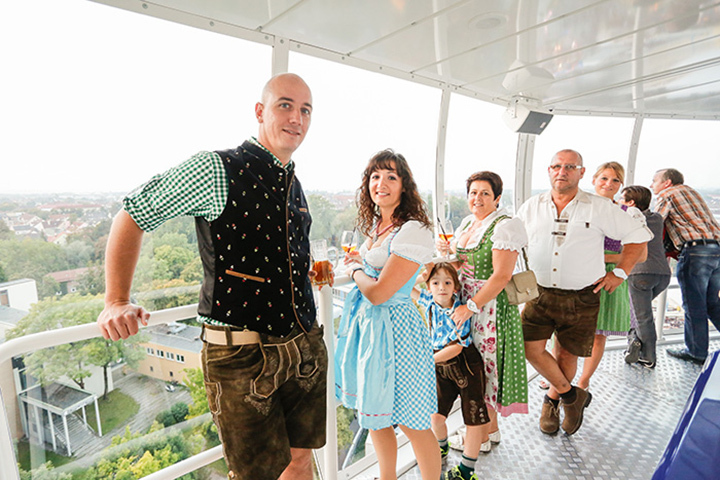 It’s total height of 81 metres makes this unique attraction a widely visible eye-catcher for your event. 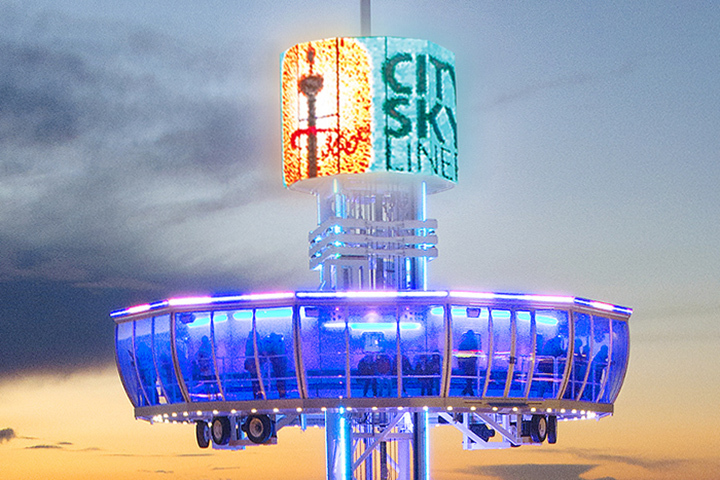 The City Skyliner is the innovative and influential tourist attraction for any city, the outstanding centre of attention for big events and the unmatched meet-and-greet location for effective product presentations and image events. The comfortable cabin, boasting a lift height of 72 metres, offers a unique view reaching as far as 29 kilometres. The fully air-conditioned cabin sits 60 passengers. 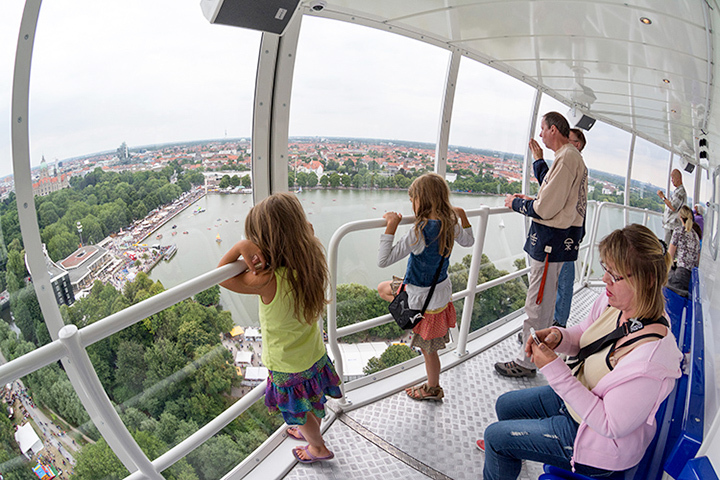 The slow, pleasant ride with a 360° rotation is a once-in-a-lifetime experience for the whole family. 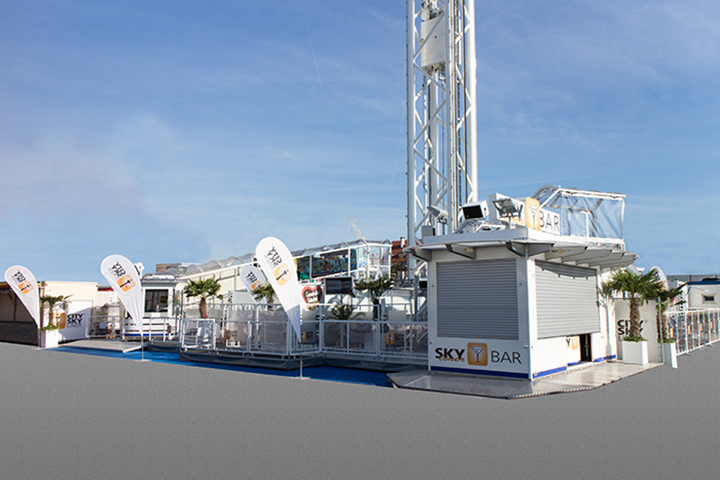 The top of the tower offers a daylight suitable, round LED video wall for sponsor logos and practical information. Modern lighting technology allows individual light for your event. City Skyliner BrandingThe entire structure is painted in a neutral white colour and offers numerous possibilities for your branding. The state-of-the-art audio system in the cabin is controlled by tablet technology. Additional information, topical announcements and the latest music are made to measure for your event and its surroundings. After checking in, the Skyliner Bar offers a large choice of hot and cold drinks which the client is welcome to take on board. 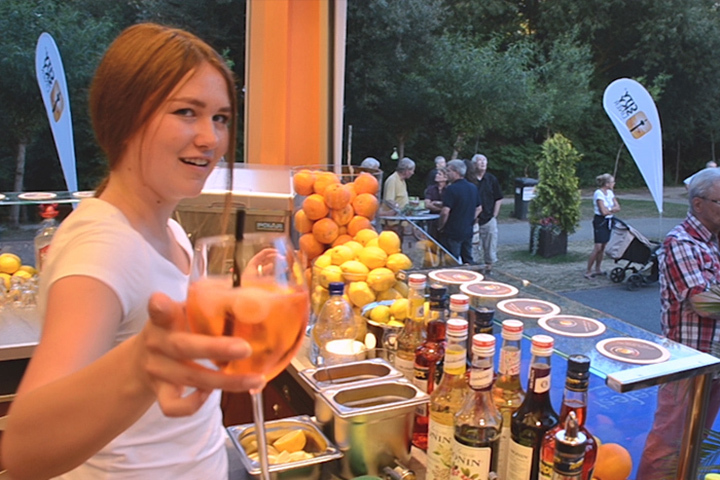 Those waiting outside may also enjoy a drink at the bar. The massive construction convinces each passenger of its high security standards. These are set by the German regulatory agency TÜV Süd in Munich, who set world-wide safety standards. The cabin and the counterweight are perfectly balanced, which results in an extremely soft, almost floating ascension. This technology allows the use of a small, energy-efficient motor. The low noise emission of less than 40 decibel make the use of the tower at almost any location possible.